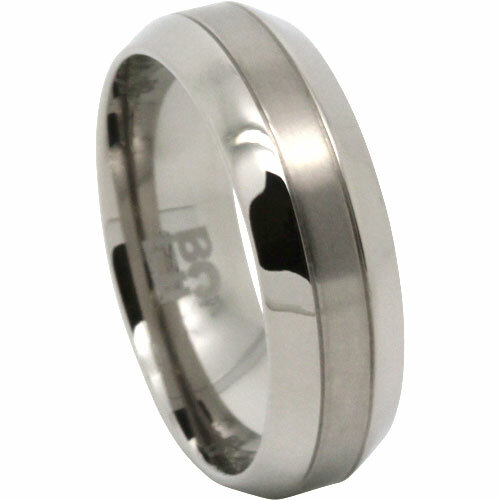 This titanium band features a brushed finish with polished tapered edges. Unlike most ring designs that have tapered edges that are quite small, we’ve actually made these to be the main feature of this ring. It’s quite a unique design, but still classic enough to be used as either a wedding ring or dress ring.